Welcome to the Como Pediatric Communication Center. It is our hope that this website will provide you with information that is specific to your child's needs. 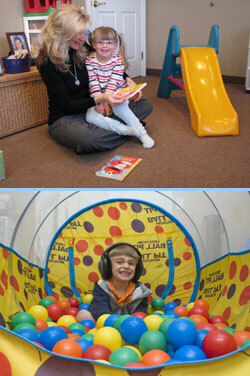 We offer speech and language therapy, occupational and physical therapy in a family centered environment. Our staff of therapists are amongst the professions best, and they all share a caring heart when it comes to your child and family. Our office offers a warm and inviting atmosphere which will allow your child to feel comfortable upon their arrival and throughout treatment. We have established an excellent rapport with past and present clients, the local school districts and area pediatricians who may choose or have already referred you to us. Their confidence in our ability to serve your family is what has made our center a place where you can count on a focused approach to obtaining results. We look forward to an opportunity to share an experience with your child that helps him/her reach his/her full potential. The Como Pediatric Communication Center has been open since February, 2003. The center is owned and operated by Craig and Laurie Como.